IdeeJazz has the pleasure of having the national top jazz vocalist Kadri Voorand opening the festival’s main program on the first day in a very exciting new building – the new building of the Estonian National Museum. On the same night and on the same stage Poland’s best-known jazz band – Marcin Wasilewski Trio – will also be performing! 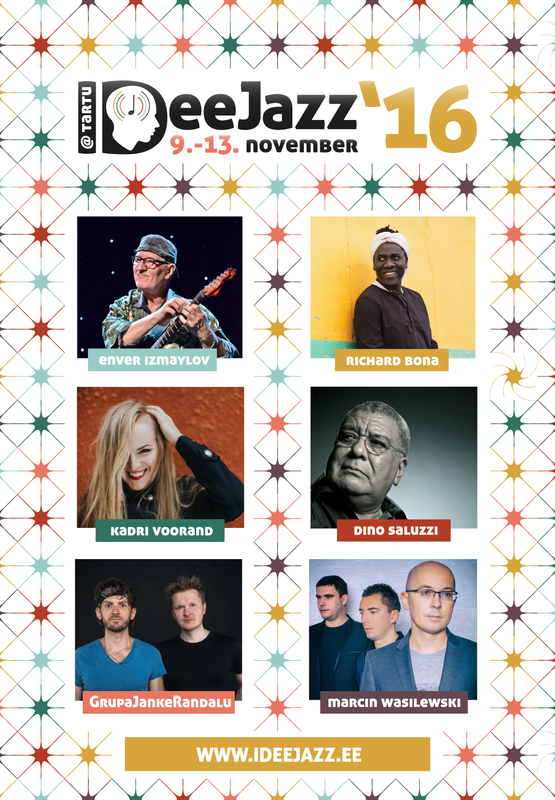 It will be a powerful kick-off of the sixth IdeeJazz! Kadri Voorand is an outstanding jazz talent whose passionate performance style, fantasy-rich improvisations and idiosyncratic creations enthuse both home audience and jazz friends in the world. 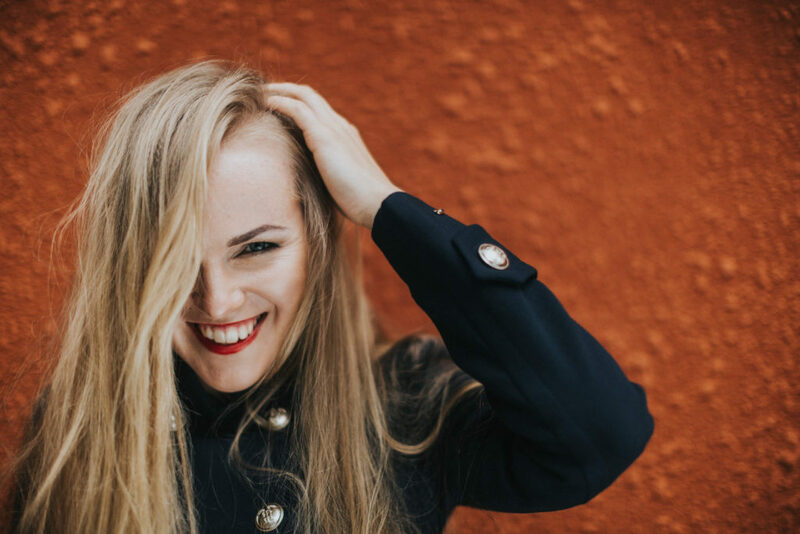 The search for the new, and participating in other musicians’ projects home and abroad have made her one of the most loved musicians in Estonia. drums they form a quartet. The music of the quartet grew out of the former band Kadri Voorand Trio, who have played several radio broadcasts, including through European Broadcast Union, and played in the USA, Canada, Switzerland, Denmark, Italy, Sweden, Finland, Hungary and many more. The album “Kosmogooniline etüüd” (Cosmogonic etude), which was selected to the TOP 10 of European Jazz Magazines chart. 2015 Kadri Voorand was given the Award of the Best Jazz Musician of the Year by Danske Bank and Jazzkaar festival. The same year she also won the Best Jazz Album of the Year in Estonia. 2014 she was given a prominent Estonian Music Council Award. She has also been awarded with The Young Jazz Talent Award of the Year 2008. Year 2012 she was the soloist with the EBU European Jazz Orchestra touring Europe. During last couple of years she appeared with her original music in many festivals and clubs for example in Ukraine, Russia, Finland, Italy, Germany,Denmark, Sweden, Hungary, Norway, Sweden, Israel and more. She has recorded several albums both with some of the best jazz musicians in Estonia and abroad, for example Anthony Branker’s modern jazz album “Dance Music” in USA. Besides collaboration with many other musicians, she also leads an a cappella vocal sextet Estonian Voices. In the Estonian Academy of Music and Theatre Kadri is the youngest member of the faculty. Marek Talts is one of the most appreciated Estonian guitarists, whose playing style is mainly characterised by a wild stage energy and openness, as well as technical virtuosity. Taavo Remmel’s bass is the foundation of the early music ensemble Hortus Misicus as well of many jazz ensembles home and abroad. He has created music for dance performances and solo projects. The bassist and composer was awarded the Danske Jazz Award in 2013. Ahto Abner is one of Estonia’s busiest jazz drummers, his style and flexible play is highly appreciated by both audience and musicians.